I had the opportunity to illustrate the cover and a spread for the 2017 Christmas Issue of American Consequences Magazine. 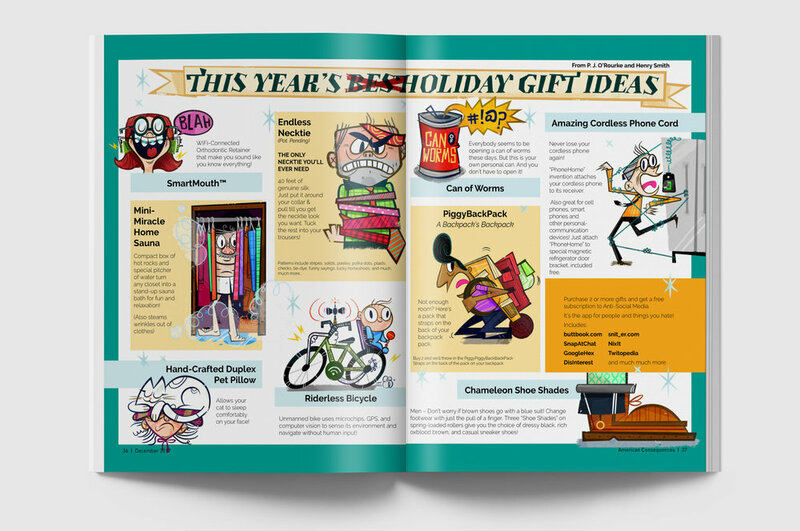 I worked closely with the art director and author of the article to visual represent the strange gifts to avoid that holiday season. 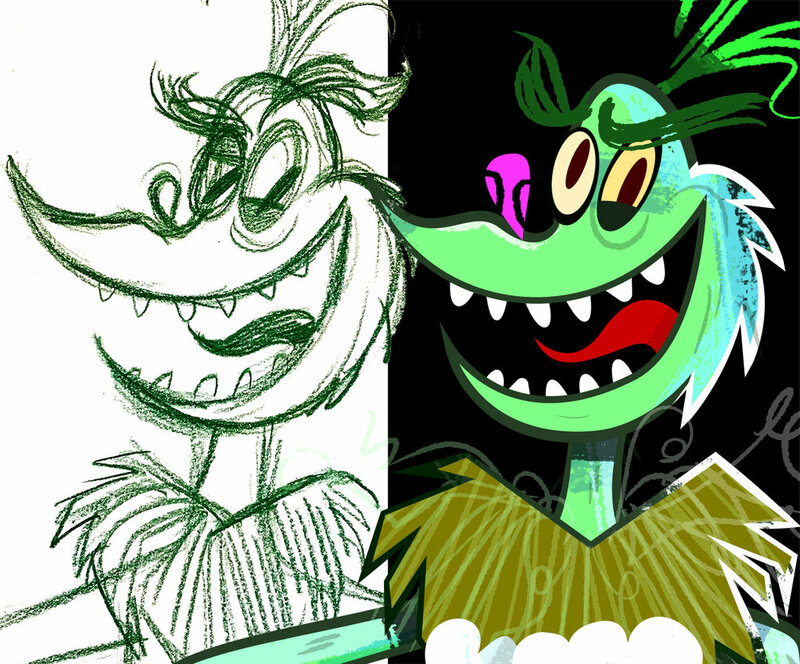 The cover was a fun and strange idea! 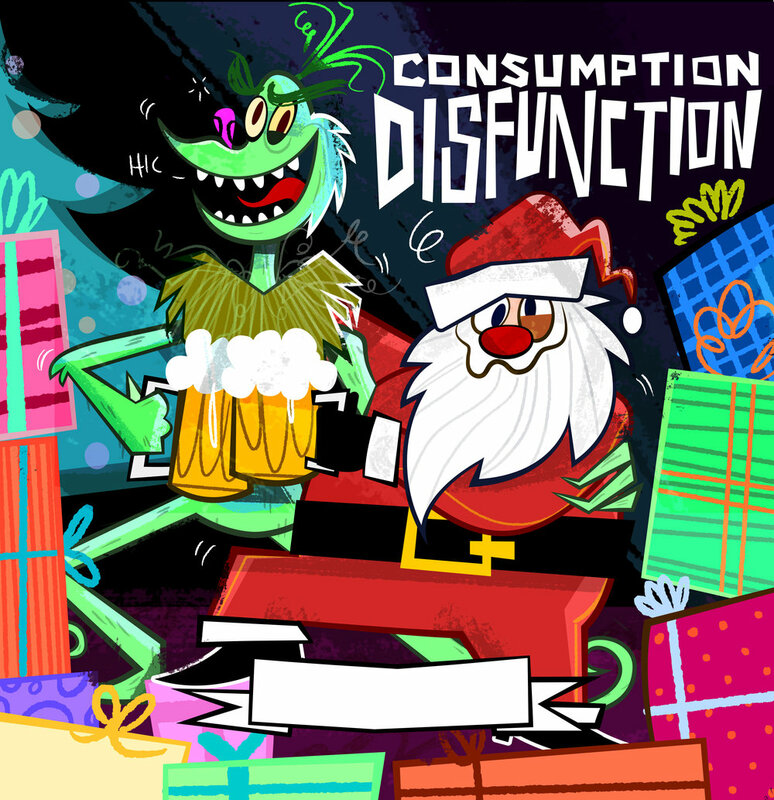 I got to draw an drunken Santa and Grinch who are celebrating after stealing all of the Presents for themselves. Here is a collection of the spot illustrations.